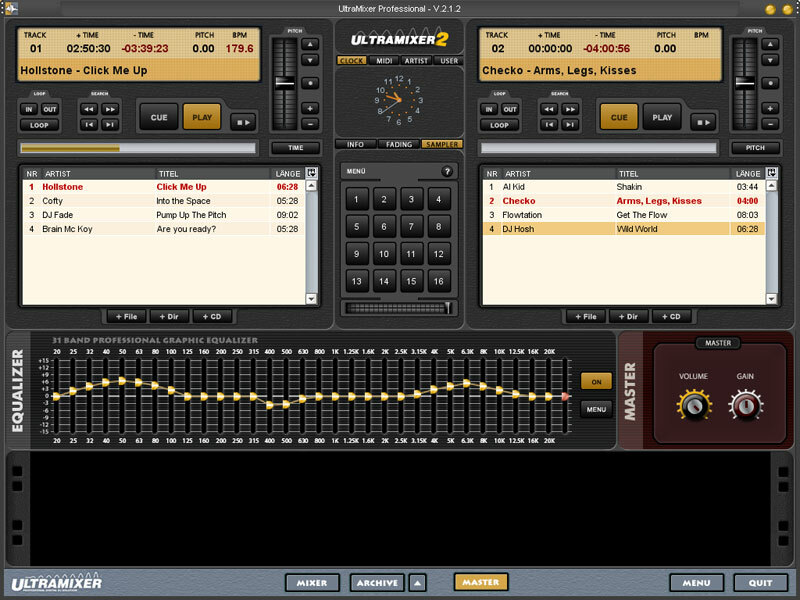 UltraMixer is a DJ-Mixing-Software which enables you to mix digital music in various formats such as MP3, WMA, OGG, WAV or CDs in real time. All you need is a sound card. The DJ's turntables are replaced by two digital SoundPlayers, the "vinyls" are available within seconds through the integrated FileArchive. No matter whether you want to use UltraMixer for a professional gig or at a private party or as virtual jukebox in restaurants. ...... in restaurants, hair studios or medical surgeries - it will prove the right choice! There are three versions of UltraMixer available: the Free-Edition and the Basic-Edition for private users and the Advanced-Edition for high demands and commerical use. All versions are integrated in one program, and can be activated through the appropriate licence keys. This enables the user to switch to a more advanced version without any problems. Qweas is providing links to UltraMixer For Linux 2.4.3 as a courtesy, and makes no representations regarding UltraMixer For Linux or any other applications or any information related thereto. Any questions, complaints or claims regarding this application UltraMixer For Linux 2.4.3 must be directed to the appropriate software vendor. You may click the publisher link of UltraMixer For Linux on the top of this page to get more details about the vendor.